What if you could tell you had a small leak in your home as soon as it started, before it becomes a huge wet mess that requires you to replace carpet, drywall, personal belongings and more? Lots of items in our homes can leak and eventually cause water damage or even result in mold growing inside our home. Leaks happen while we are home and while we are away. Tiny drips of water can come from a dishwasher, washing machine, hot water heater, water softener and more. 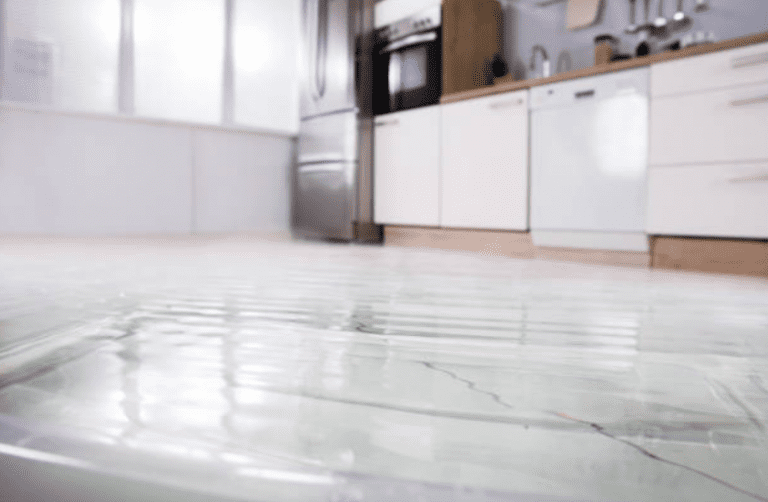 When clients call us after they’ve had a water disaster in their home, we always help them out by repairing or replacing the cause of the water damage but we also wonder what could have been done to prevent this unwanted situation. One solution is to install something like the Honeywell Lyric Water and Freeze Detector, which we think is a must-have for every single homeowner. It is easy to use, high tech and will potentially save you thousands of dollars of home repair when it detects water leaks as small drips. It will then alert you on your phone before it becomes a big water disaster. The Lyric Water and Freeze Detector comes with a 4 foot cord that can be placed in smart locations such as under a hot water tank, near your washing machine and even along your basement’s foundational walls. It detects water drops and sends an alert to your smart phone right away so you can jump on the issue while it is still small. It works when you are home or not home, day and night. The system uses your home’s wireless wifi network. Be smart and get on top of potential home damage. As my grandfather used to say, “Spend a little now, or spend a lot later!”. If you need help installing the device, we can help. In fact, with our professional installation, you will receive a 5 year warranty through Honeywell that is not available if you self-install.